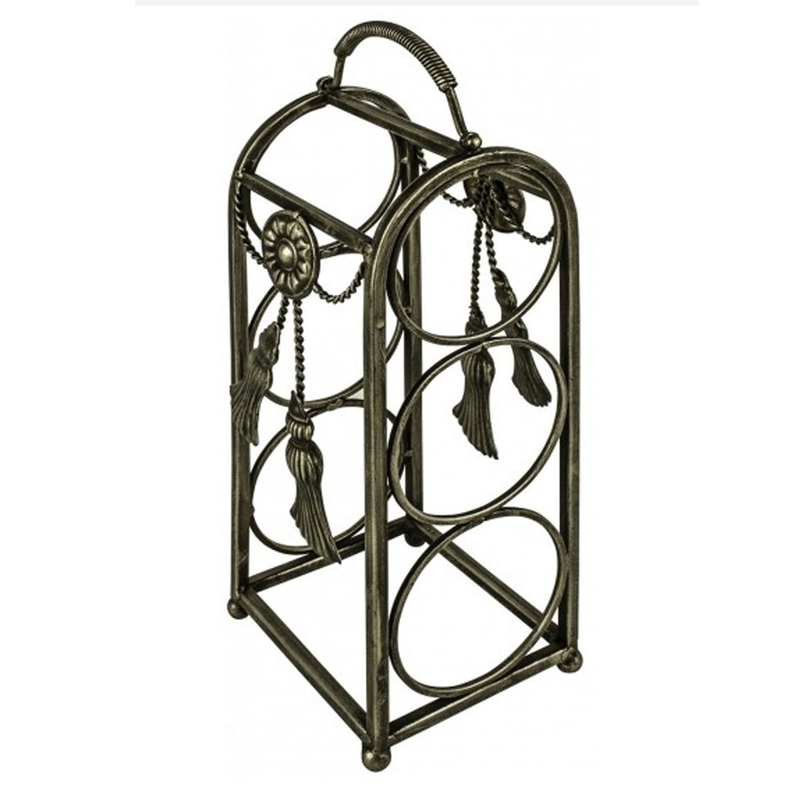 This is a gorgeous wine rack with an antique, abstract style. This beautiful wine rack is a perfect item for anyone who likes a unique home. Everyone is sure to be impressed by this magnificent wine rack. It holds 3 bottles and is sure to make your home feel more complete.